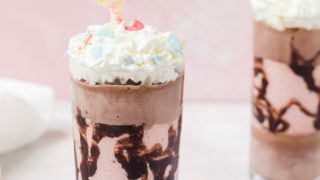 Be honest with me, did you know about frozen hot chocolate before? If so, how long and how come you didn’t mention anything to me sooner?? I only just discovered frozen hot chocolate recently and I am kind of kicking myself for not finding it sooner. It’s pretty delicious and super chocolaty. 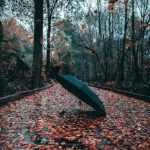 If you want to discover more, I highly recommend getting inspiration here. Maybe not so cozy, but definitely refreshing on a hot summer day. And there’s been plenty of hot summer days around here so I discovered them just in time. 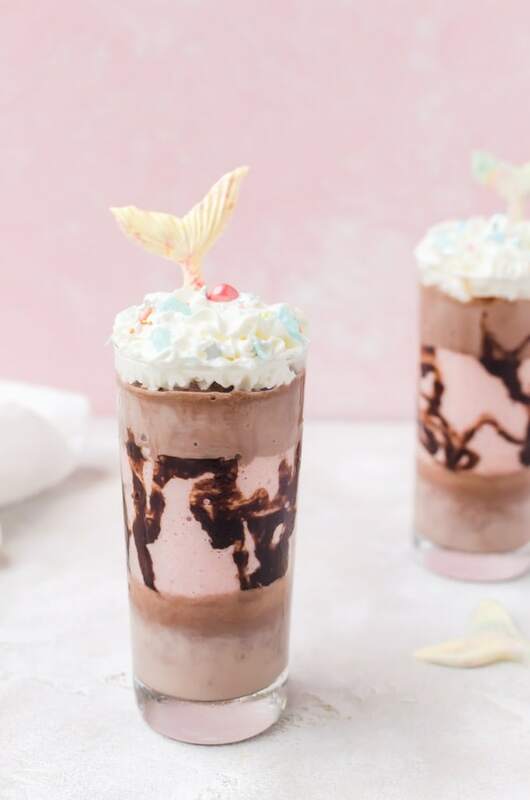 Frozen hot chocolate is very simple to make. 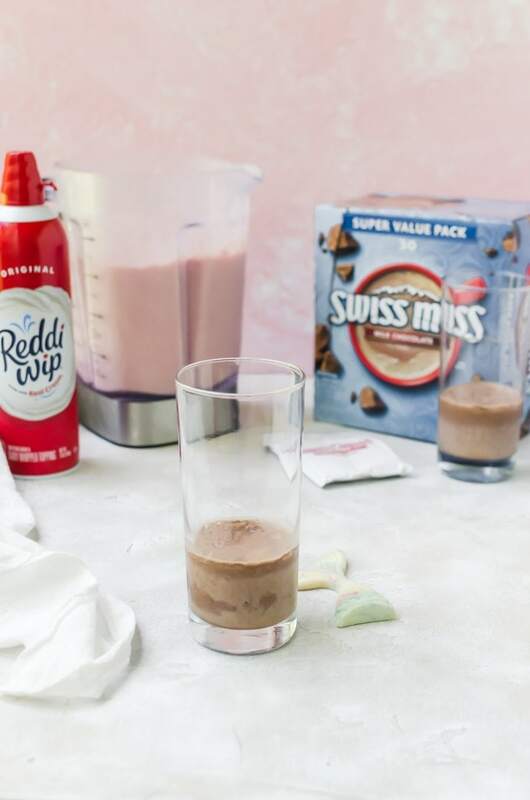 You need Swiss Miss Milk Chocolate Hot Cocoa Mix, milk, a few extra chocolate chips for added indulgence, and ice. Blend until it is thick and slushie-like. It’s perfect. 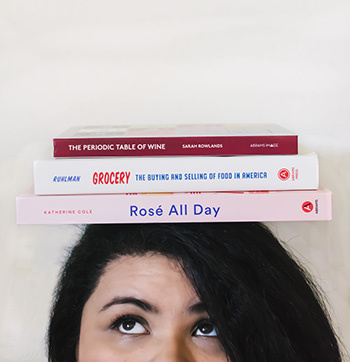 And since you don’t use anything like ice cream, it doesn’t really weigh you down. Of course, you can add a scoop of ice cream if you want something more velvety and thicker, but I love it as-is texture-wise. What I really love to do to bump up the flavor factor is add a fun layer in the middle. Here, I did a layer of berries and white chocolate. It adds more depth to the treat and makes it extra fun. Plus it stretches out the recipe so I can serve more people at once. To get perfect layers, I recommend freezing your cups for about 5 – 10 minutes after adding each layer. If you like a more swirled effect, you can skip the freezing. 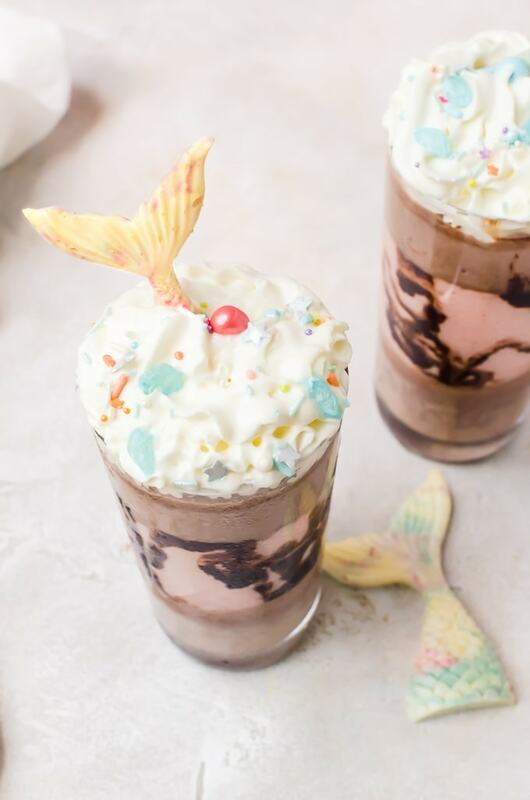 My daughter is also still all about the mermaids, so I had to make the frozen hot chocolate mermaid-themed. I used the leftover white chocolate from the middle layer to make a few mermaid tails using the molds I got for her birthday. To make them more interesting, I swirled in teal and pink coloring. The trick is to give it a quick swirl without really mixing it in so you get bits of color with the white chocolate. I then dusted them with edible glitter because, why not. To finish it all off, we end with my daughter’s favorite: Reddi-wip. 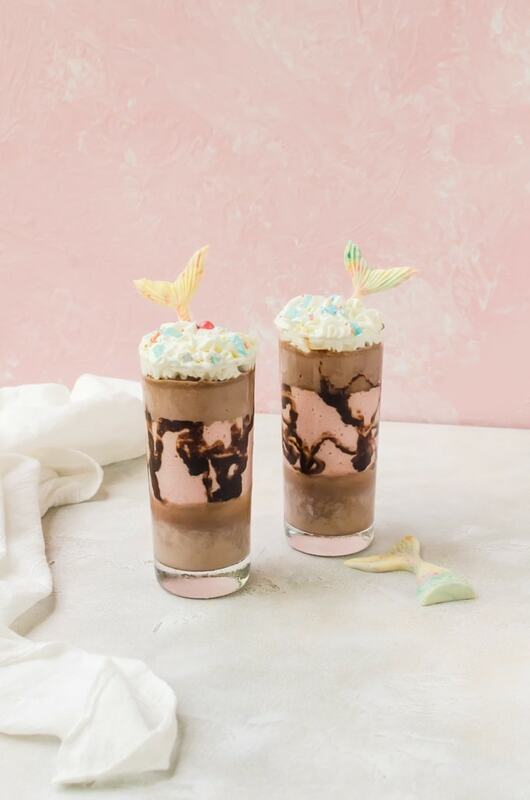 The sweet creamy topping is perfect with the froen hot chcoolate and looks a bit like seafoam that the mermaid is diving into. To make it even prettier, I topped with my favorite mermaid-themed sprinkles. I do have to warn you though, that it can get a little tricky keeping the tails up. 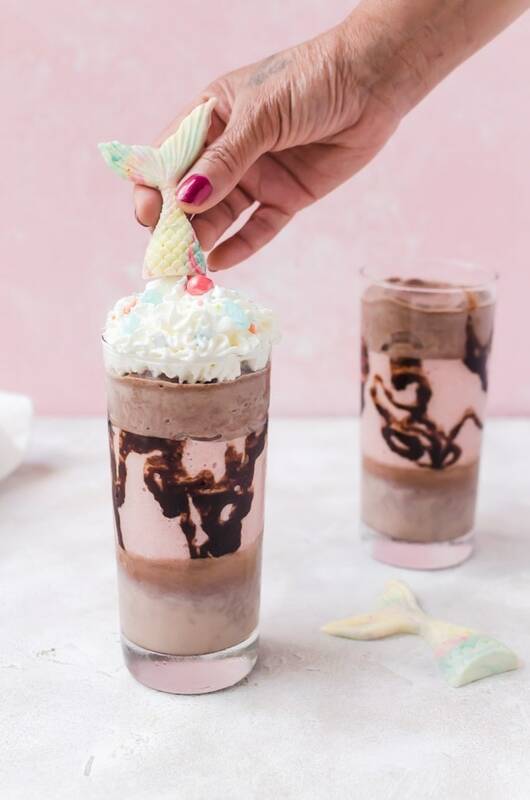 I recommend sticking them far down enough that the frozen hot chocolate can support it, or rest it against the back of the glass. 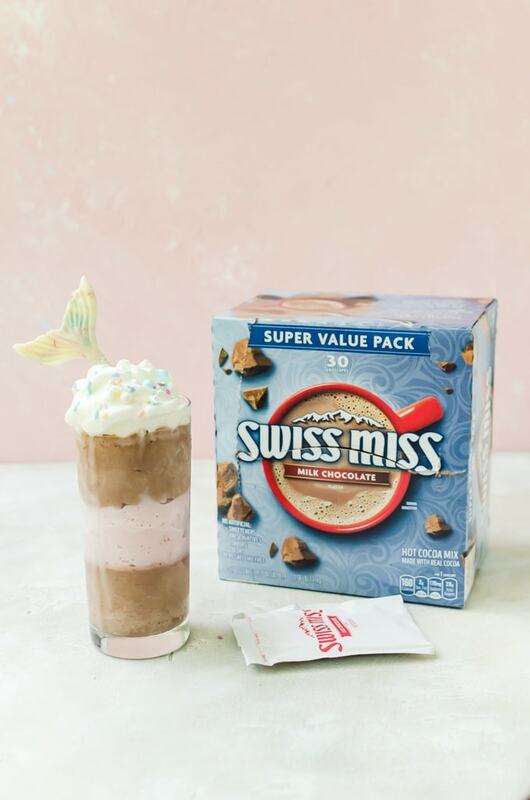 Honestly though, the tails are best when you use them as an edible spoon scooping up the Reddi-wip and the frozen hot chocolate, so it won’t stay sitting in the drink for long! There’s so much you can do to customize your treat. You can play around with the berries you use. I prefer a mix of strawberry and raspberry, but blueberries and blackberries would work well! 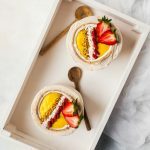 You can also use cherries, mangoes, pineapples, or anything else you can find. 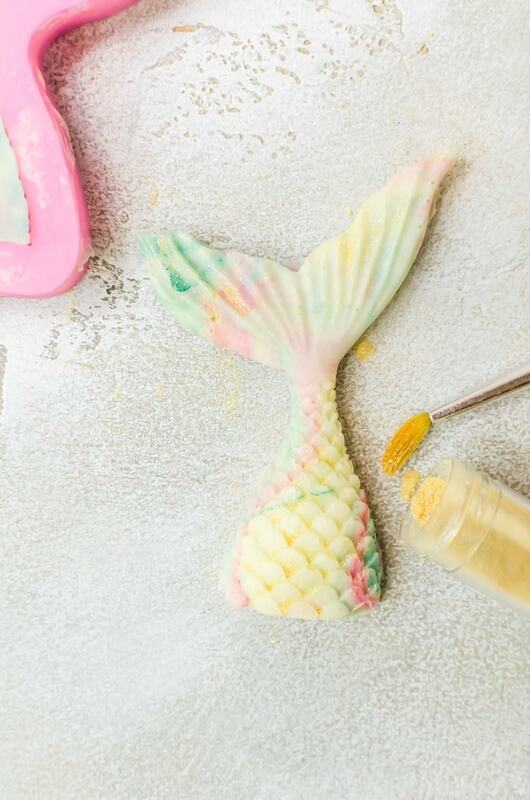 You can also experiment with sprinkles and different colors with your mermaid tails. You can even use regular chocolate or even add extracts to the chocolate to add a bit more flavor to the treat. The possibilities are endless. And because I love you, I even showed you where you can find these two products at your local Walmart! Add the ingredients for the frozen hot chocolate to a high powered blender. Blend for about 2 minutes. Pour the mixture into a bowl and keep in the freezer as you make the middle layer. Add the ingredients for the berry layer and blend for 2 minutes. Pour into a bowl and place in the freezer. 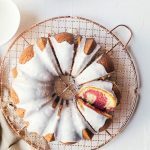 Melt white chocolate and optionally add food coloring. Pour white chocolate into the mermaid molds and place in the freezer. 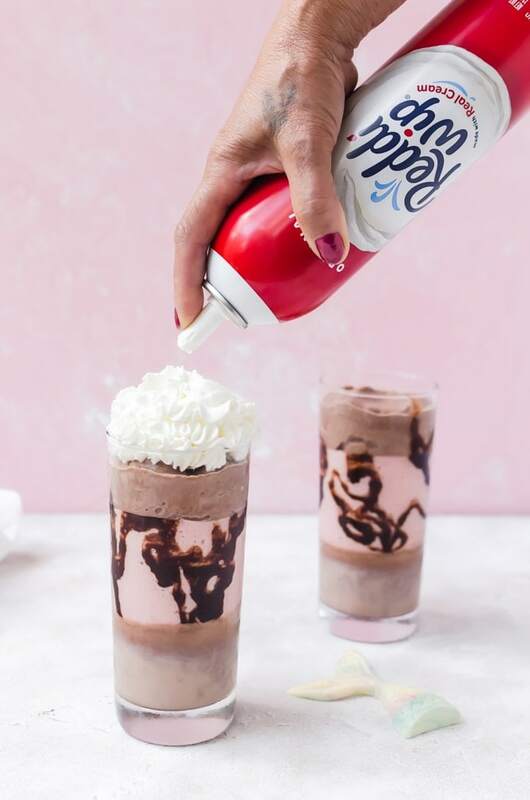 Take out your layers, and add a layer of frozen hot chocolate. Freeze for about 5 minutes. Add the berry layer and then freeze for another five minutes. Finish off with another layer of frozen hot chocolate. Top with Reddi-wip, then with mermaid sprinkles and the mermaid tails.